Having Responsive Web Design (RWD) is a device-independent user interface (UI) design philosophy that aims to all the devices like laptop, desktop, tablet, smart phones is more of a necessity for business owners these days than a luxury which it used to be few years earlier.We Unidrim team plan, design, and develop innovative responsive websites that promise high conversion rates and traffic.The new and dynamically resizing the content and images of a website gives best experience irrespective of the device used to browse the site. Below mentioned features are available with us. We work in latest technologies like HTML 5, CSS 3, Java Script, Angular JS, React JS, Jquery, Bootstrap for designing responsive and compatible websites and web application. We use Java, PHP and MVC frameworks for back-end configuration.As per client’s requirement we use various CMS platform like WordPress, Joomla, Drupal and for e-commerce platform we use Magento & opencart platform. We have Software Development team to develop different software. We have own Hospital Management System, Hotel Management System, Vehicle tracking system software and may more. Now in Smart era everyone using smartphone for reaching any business application. 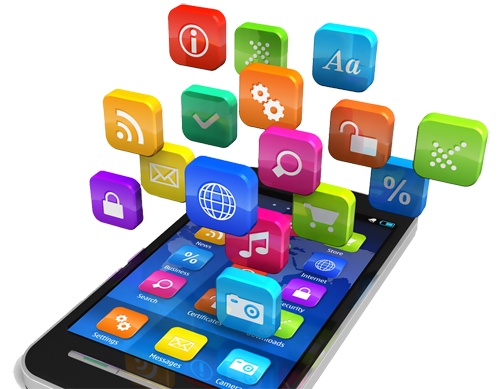 We provide special preference to Mobile Application Development for better User Experience. We develop Android & IOS application from wireframe design to icon creation, UI design, Admin Panel development, Database design & not only development we take care care of App store also.We emphasis on apps function speed.